Did You Know Obesity in Men Lowers Testosterone Production? 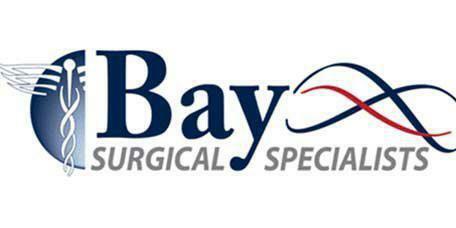 Dr. Almond provides minimally invasive endovascular treatment of peripheral arterial disease to patients from the Tampa Bay area from the Bay Surgical Specialists offices located in St. Petersburg and Pasadena, FL. "Dr. Collins saved my life when he repaired an abdominal aneurysm, and I am grateful"
"Talking about my concerns with Dr Paul Collins was such a nice experience." "Very Good Surgeon, I had to have emergency surgery from a Hernia that turned bad." "great. only doctor that could fix my issue without slicing me from chest to waist..."
"Dr. Huguet was very knowledgeable and professional. He took the time to explain"
"If you would like a Dr. that has a great bedside manner, is very knowledgeable"
"I would absolutely recommend Dr. Almond to anyone. His office was very complete"
"He's a great doctor and I would recommend him to anyone who has vascular problems." "Dr. Almond shows how a true professional performs surgery." What is minimally invasive endovascular treatment of peripheral arterial disease? Peripheral arterial disease can be surgically treated with bypass surgery or angioplasty. Bypass surgery is an open surgical procedure where a piece of healthy blood vessel is attached to either side of the blocked peripheral artery, creating a new path for blood to follow, effectively bypassing the blockage. However, angioplasty is an endovascular procedure, and while still serious surgery, is much less invasive to the patient. Angioplasty is a procedure where a catheter is threaded through the blood vessel to the blockage or narrowed artery. Then a small balloon on the tip of the catheter is inflated to reopen the artery by flattening the blockage to the arterial walls and stretching the artery to allow increased blood flow. Sometimes the surgeon will install a stent, a small mesh tube, which acts like scaffolding in the artery to hold it open. If the blockage is caused by a clot, the doctor may utilize thrombolytic therapy, where a clot dissolving drug is injected into the artery near the blockage to break up the clot. What happens during recovery and after care? This is a short-list of just some of the plans we accept. Please contact our office if you do not see your insurance provider listed.